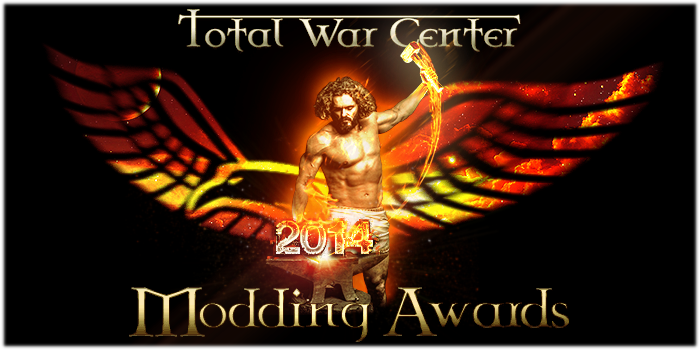 The Front Page - TWC 2014 MODDING AWARDS: WINNERS REVEALED! we are very pleased to inform you that the TWC 2014 Modding Awards are finally over and that, consequently, the winners have been revealed! Once more, we apologize for the delay in closing up with the 2014 awards; 2015 will follow up very soon, as the first nomination period is planned for this very August, so stay tuned and do not miss the chance to nominate and vote (again!) for your favourite mods and modders. For what concerns the edition that has just ended, we are pleased to register an important increase in the participation of the members who have nominated and voted; modding is central to the whole community and the more we can do (all of us) for our beloved modders, the better it is. 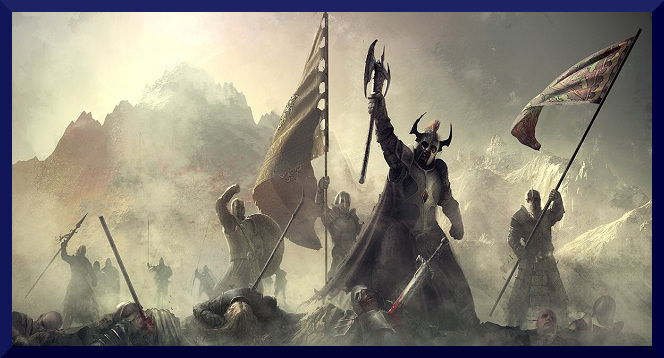 For what concerns Rome 2, the title that presented more categories, we are very pleased to see that the winners of the favorite modders are old acquaintances of the Eagle Standard: Dresden, Radious and Sebidee have in fact been our guests in our Modding Legends Interviews, and hence we are happy to see that the community decided to recognize them with the praises and awards they absolutely deserve. In the Shogun 2 we see the "return" of a modder that really does not need presentation, Darth-Vader, and the confirmation of the talent of Primergy and uanime5 as first and second runner up; the work that those lads are doing for a somewhat underrated title is amazing, and deserves a special mention, in my opinion. Napolen sees the confirmation of Steph as the favorite modder, with Bran Mac Born following up and also confirming himself after the good results of 2013 and with the rise of a relatively new modder, Slyk, who ended as the second runner up and cut himself a slice of glory for the 2014 awards. At the Empire all of fame we meet again Bran Mac Born, who scored on two different titles, which is very rare, though he had to surrender the first position to Lordsith, who proved to be the favorite of the Empire's masses; second runner up is JaM, one of the elder modders here at TWC. Medieval 2 presents us two newcomers at the awards, Arachir Galudirithon who was choosen as preferred modders from the huge community of Med 2 and of Third Age: Total War and QuintusSertorius, who ended up as the runner up; last but not least we have the unteempth confirmation for our beloved Gigantus, who's by now a milestone of TWC! The Rome community, finally, awarded KLAssurbanipal as best modder for 2014, him who has a long story of very high quality modding, it was about time I would say! First runner up is ahowl11, another long term modder and as a second runner up we are pleased to welcome another newcomer, BagaturSasha. This is just but a part of those who deserve to be mentioned, so for the complete list of mods and modders who have been awarded, please refer here. You don't want to mess with our team, do you?!? Once again, I wish to spend few words of praise for those who helped run this edition of the awards (and that hopefully will help with the upcoming 2015 edition, too! ), because without the hard work of these volunteers there won't be any Award actually. As told on our precedent article about the 2014 Awards, the Modding (and the Site) awards are competitions run by volunteers and there won't be any of them, without the commitment, work and passion of those great lads. For more info on how to participate or help with the awards please refer to the link above; in the same article you can find the list of those who participated in this edition, but for your comfort I'll list them again here down below; needless to say that they deserve a full recognition for their contribution. I reserved the place of honor to Hader without whom we would be lost and helpless, because if listing and tagging mods for eligibility is a hard work, you can't imagine what it is when you have to make all of them into threads (not to speak to manage all the bureaucratic stuff!). Thanks for the hard work! Congratulations to both nominees and winners - and thank you to everyone who made the competition happen! I did just my part here, but the main merit is on the people who dealt with the most boring and bureaucratic task, thank you lads.. now back to work, you lazy scum!! Thanks to the team for all the work and organization of these awards! Congratulations to all winners and huge thanks to the awards team for doing these awards.